Target species; butterfly peacock in late fall, November in Miami, FL. The water is about a foot or so low, the levies are closed, the waters are still and scouting for peacocks the day before a guide wasn't too promising. I always scout for targeted species a day or two prior to any guide. We had an early shower around 8 am and a light shower a bit later with overcast skies all day, making it very difficult to sight peas. The winds picked up and dropped throughout our 3/4 day guide. Upon calling to inform my client from Miami Lakes about the conditions yesterday afternoon, he gave me the thumbs up and we headed out despite my scouting report and mother nature. This guide was his birthday gift to his 19 yr. old son and the pressure was definitely on. After showing my clients the ropes on how to catch your own bait, identifying which species are legal and what sizes, we head out with a bucket full of perfect sized breams and a small arsenal of lures. As we get to the first spot, a well known stretch of waters for many freshwater guides. I don't see anything I like on the waters but we begin to cast at a few spots that have been good to me over the decades. Shortly after... the BITE WAS ON! The birthday boy got the "ice breaker" and the butterflies in my stomach begin to fade away. Not a huge pea to start the day but any sign was a good sign. Minutes after, my client gets on a decent pea. A definite upgrade in size and the classic smile from eat-to-ear start to be contagious as the bite didn't stop for awhile, upgrading each time we landed these beautiful, freshwater beasts. After each of my clients got on their first pea, I knew it was a matter of time before the bite would shut down at this spot but it kept on for a lot longer than I expected. All the commotion from the first two landed brought in bigger and bigger peacocks with this rare "blue" butterfly peacock. I nicknamed these "blue steel" as they are very bright and steer away from the normal shades of green, yellow, orange, and blacks that are replaced with glimmers of a chrome like shine with hints of blue. A very nice catch by any standards. You really have to see one of these "blue steel" peas in person to truly appreciate their unique colors and iridescent shades of the color wheel. The bite was on again with back-to-back peas, trading from father to son like a finely tuned machine. I was very impressed considering neither had ever used circle hooks. Yes, circle hooks work in the fresh stuff too and I highly recommend them especially for catch and release fishing. We took shelter in my truck after a brief shower moved over us and the bite was still on shortly after. I love fishing after some fresh rain falls. We had some huge peas move in and briefly had one on before he spat the hook. I decided to move onto the next spot as I didn't want to stress out a whole school and the bite had slowed down too. We shot to a few more spots but I didn't like what I saw and didn't even bother to wet any lines. One spot looked very promising but I noticed a school of fry, no older than a few days so on to the next spot. On the way to one of my "honey holes", we got to see a few exotics but none of them were our target species. We made a few blind casts with not even a nibble. We slowly progressed the banks of the lake and I decided to head straight to another spot that has almost never let me down despite the elements. We were on shortly after with the duel father & son team at it again. Great report. I think i have seen you cruising through my backyard before. What kind of hotdog do you recommend to catch a carp? I wanna catch a triploid on light tackle. Those things look so freaken cool! High quality vinyl stickers representing your fishing lifestyle. Thanks man, glad you enjoy the pics. I never get tired of catching these freshwater beasts. Each one has it's own unique pattern, very much like a thumb print. You can actually go back & look at old photos to see if you've caught a specific one again. Never heard of hot dog for carp, especially since they're herbivores. I have caught huge carp with bread and berries from banyan trees. Lol, my bad. Just read the whole comment. Where do you live by? I fish a lot of places. It is a well known fact that carp eat papitas fritas from Wendy's. 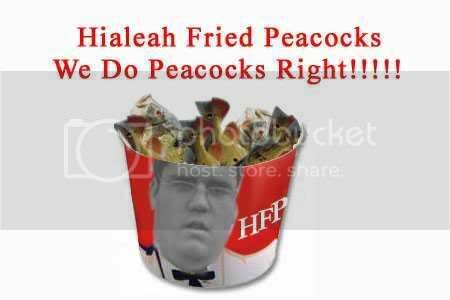 Maybe Hialeah carp do, maybe you should try an empanada and chum it up with a cafecito. If all else fails, you can eat your hot dog. maybe, but I'm serious. I know some guys that caught several monsters one day. They noticed some carp and they had their grub on the small skiff cuz they had the munchies. they started tossing pieces of the papitas fritas and the carp ate them. after that day they went by the name, "The Papita Frita Klan." The PFK huh, lmao. That's crazy!